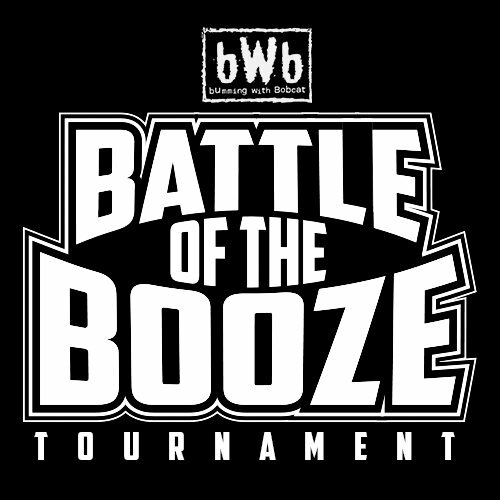 The finals are now set in the 2018 BWB Battle Of The Booze Tournament between Mickeys Fine Malt Liquor and MD 20/20 Blue Raspberry. It has been an intense tournament since the first round, but in the end there can only be one winner! 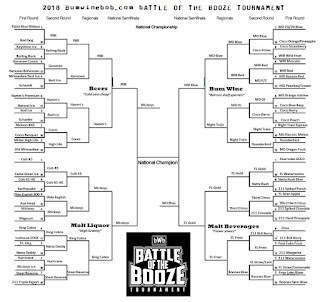 MD 20/20 Blue Raspberry had the easiest road to the finals being the #1 seed in the bum wine conference. 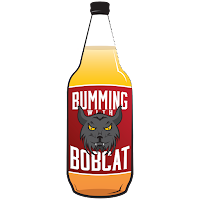 After taking down a pair of Cisco's against the Orange Pineapple and Strawberry, the "bling bling" made easy work of two other bum wine classics defeating both Wild Irish Rose Red and the Night Train Express. 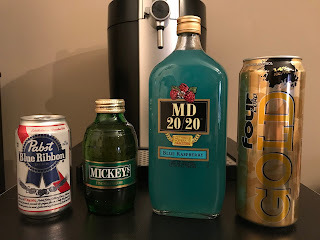 Four Loko Gold was no match for MD 20/20 Blue Raspberry and fell victim to an easy defeat in the semifinals. 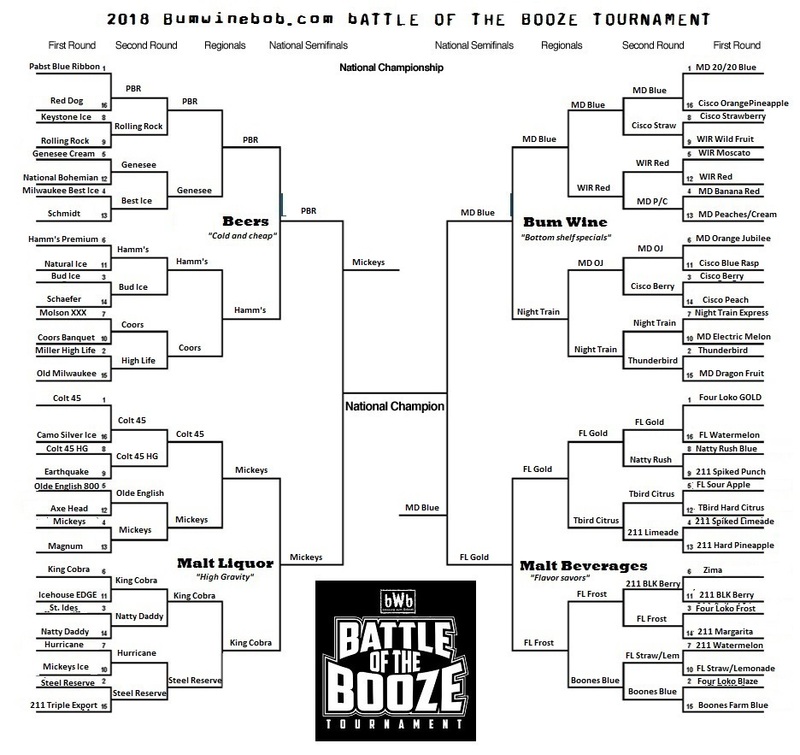 MD 20/20 as a whole was named the Battle Of The Booze champion back in 2016 when we did a smaller 16 beverage tournament, but does the "bling bling" have the advantage to win it all on it's own this time around? While Mickeys was a #4 seed to start the tournament, it was still surprising to see Mickeys make it all the way to the finals. After defeating classic malt liquors in Magnum, Olde English 800, Colt 45, and King Cobra, Mickeys made easy work out of PBR in the semifinals. I believe that the return to glass 40's played a big part in Mickeys run in this years tournament. Could a Mickeys victory mean that we see changes coming from MillerCoors to eliminate the remaining plastic 40's and return the rest of the classics malt liquors to glass? 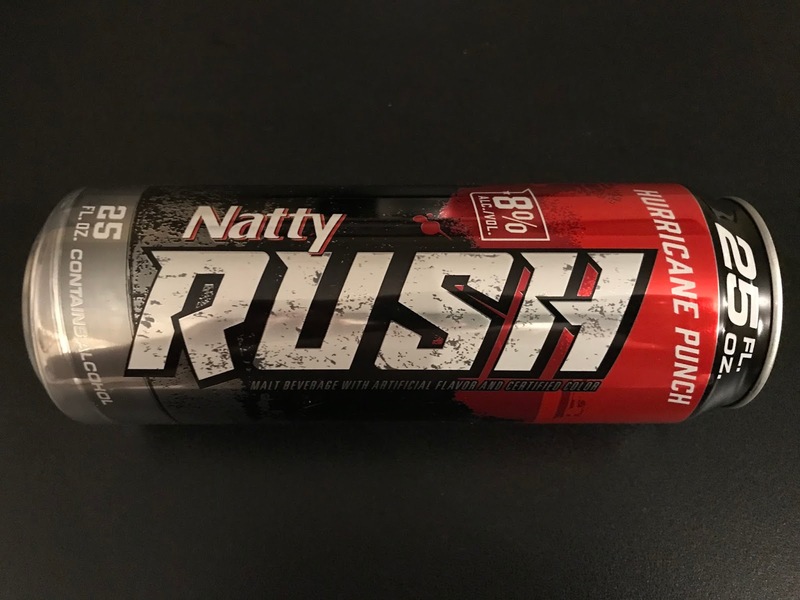 The Night Train Express had a good showing right up until the elite eight where it lost out to the bling bling, and Pabst Blue Ribbon once again made another great run to the final four, but couldn't take that final step again this year. 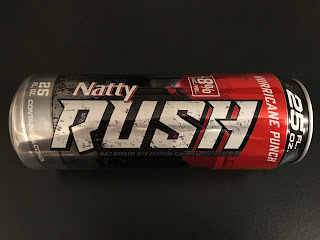 Natty Rush Hurricane Punch is the bumwinebob.com malt beverage of the week and this years battle of the booze champion will be featured at bumwinebob.com after the polls close. 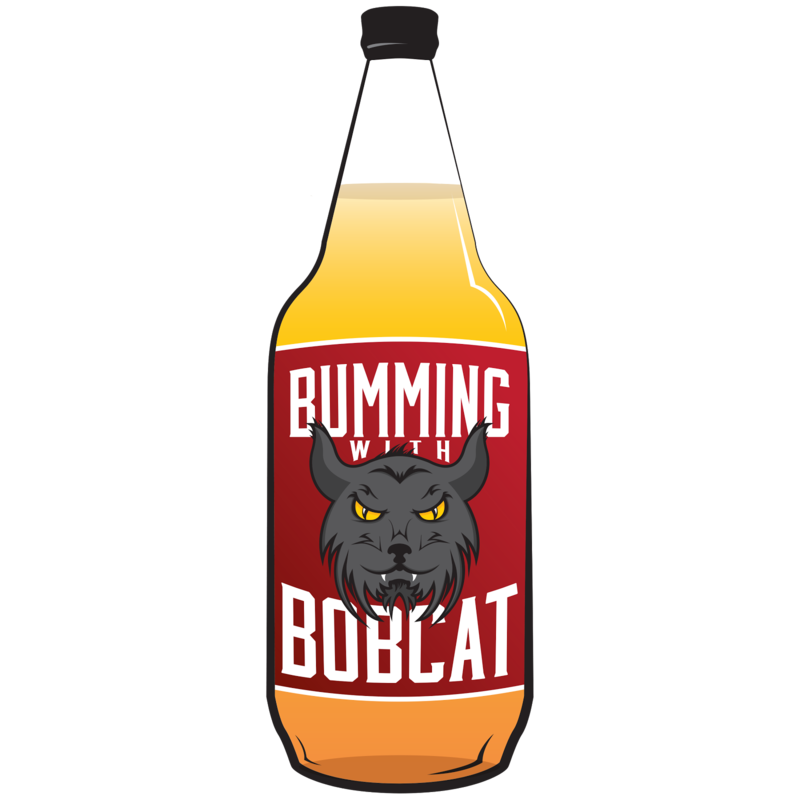 Polls will be open at botb.bumwinebob.com from 9pm ET Wednesday to 9pm ET Friday, so make sure to get your votes in and tell your friends! Cheers! 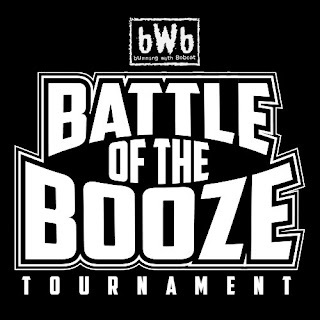 Listen to "BWB Battle Of The Booze 2018 Finals Preview" on Spreaker.